Prior to the Alfa Romeo Giulia Quadrifoglio, the BMW M4 Competition Package was one of the segment’s indisputable leaders. Sure, the AMG C63 S Coupe is more powerful and just as able to set its rear tires ablaze, but the BMW is the one that defines the segment and while the M4 Competition and Giulia QV are so close to each other that a clear winner is hard to define, that may not be the case in this matchup. Keen to further define the Giulia QV, Evo decided to pit the two cars against one another on the track in order to see how it stacks up against the German bludgeon. 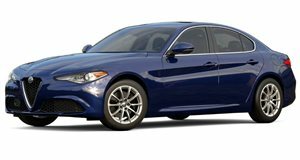 Though the Giulia lacks two cylinders and 1.1-liters of engine displacement against the Merc, it makes the same amount of horsepower. It doesn't start too well for the AMG, which lights up its tires and seems to be less precise than its Italian challenger, but thankfully Mercedes hired rockstar programmers to dial in some computer-controlled aid. 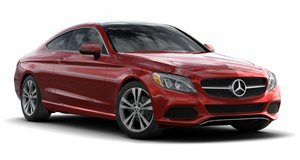 Ultimately, it’s not the lack of grip that hurts the Mercedes, it’s the added weight of its V8 engine compared to the Alfa’s V6. With a quick steering rack and the lessened amount of space needed to brake, the Alfa Romeo Giulia QV racks up a lead over the AMG one tenth of a second at a time. Most importantly is that it does so while feeling like the more agile car.